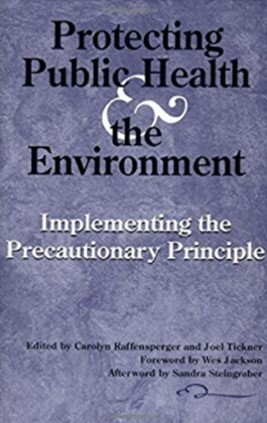 SEHN was founded in 1994 by a consortium of North American environmental organizations (including the Environmental Defense Fund, The Environmental Research Foundation, and OMB Watch) concerned about the misuse of science in ways that failed to protect the environment and human health. Granted 501(c)(3) status in 1999, SEHN operates as a virtual organization, currently with five staff and six board members working from locations across the U.S. In service to communities, the Earth and future generations, the Science and Environmental Health Network forges law, ethics, and science into tools for action. Fulfilling our responsibility to govern ourselves and our communities wisely, to create and sustain a just and healthy world now and for future generations. Sherri joined the SEHN Staff in January 2005 as Finance Director. Sherri has a Bachelor of Science Degree from the University of Illinois. Her background includes working in banking for many years as well as co-owning a family restaurant. Sherri is in charge of SEHN’s bookkeeping and budgets, donor database, development research, as well as managing our websites. Kayhla joined the SEHN staff in 2018 as a Senior Researcher and Communications/Science Writing Associate. Her experience includes work in the fields of environmental social science, environmental public health, environmental justice, and disaster preparedness, management, and response. Bhavna Shamasunder, Secretary, Associate Professor, Urban & Environmental Policy, Occidental College, Los Angeles, CA. Rebecca Gasior Altman, Treasurer, Writer/Sociologist, Providence, RI.